There is no better cost to eliminate than the cost of poor quality. Scrap material and lost labor hours add no value to an operation. Poor quality leads to unhappy customers. Unhappy customers leads to lost business. In order to best eliminate these wastes, a strategic approach to quality improvement is essential. As we discussed last week, the first step to solving any problem is defining the problem. Knowing when, where, and how quality issues occurs is essential to knowing how to prevent them. Thus, your first and most important step towards creating a strategy that reduces your quality issues is to carefully and accurately track when and where quality issues occur through the implementation of data collection tactics. However, the majority of manufacturers that attempt this data collection use inaccurate, inefficient manual tactics like paper and excel that only allow for retroactive insights and decision making. That’s where MachineMetrics comes into play. Using MachineMetrics, an operator can reject a part using the Operator View (as we’ve discussed in previous posts, the Operator View is visible through tablets that are magnetically mounted directly at the machine tool). Quality managers are then able to view the quality data via quality pareto charts in real-time. When there are new rejects, they can head to the machine in question, re-inspect the parts and re-allocate as necessary. All quality data can be tracked in MachineMetrics, eliminating the need for the ineffective tactics discussed before. Any part that is not considered "good" needs to be rejected in order to remove it from the good parts count. There are two ways to reject parts in the MachineMetrics system; one from the Operator View and from the Quality page. On the bottom of the screen, select "Reject Part". The second way parts can be rejected is from the MachineMetrics Quality page for a specified workstation. On the right-hand side of the screen at the top of the "Rejected Parts" section, select the "Add Reject" button. This will bring up the "Reject Part" prompt. User selects the date and inputs the time from which they want to reject parts. Enter the number of parts rejected in the Count section and select a reason from the Reason dropdown. Just as in the workcenter view, they can add a description in the Message text box which is an optional field but highly recommended. Finally, the user hits save and logs the rejected parts. *Note: Part rejections can also be edited by selecting the row representing the parts the user wishes to edit. This will open a Reject Parts prompt in which the user can change any of the information for this rejection or delete the rejection altogether. As seen above, Quality managers are then able to view this data via quality pareto charts in real-time. The pareto will allow managers to understand where the quality issues are occuring, which are the most, and track those issues over time. When there are new rejects, they can head to the machine in question, re-inspect the parts and re-allocate as necessary. In summary, ineffective data collection is one of the top challenges to identify and solve quality issues. How do you know if your quality initiatives are the right ones? Do you know what the problem is that you were trying to fix? The key lies in the development of a strategic plan to improve quality. Without it, you’ll just move from one guess to another. 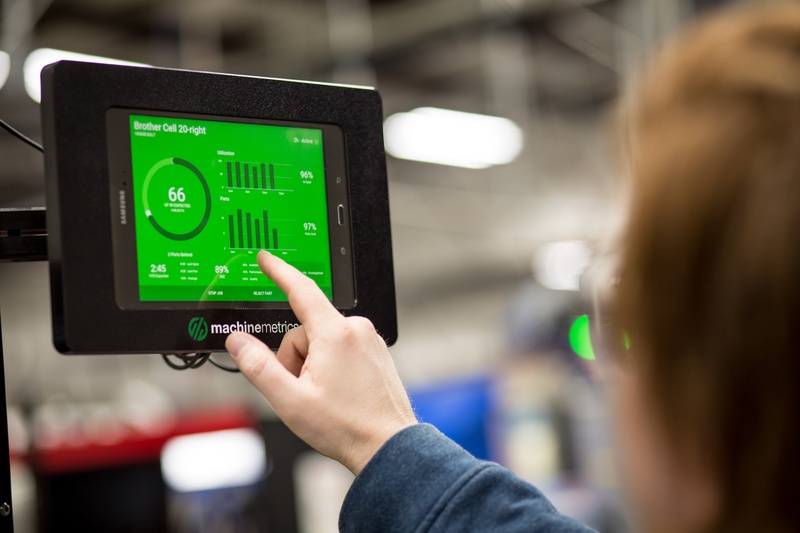 MachineMetrics not only allows you to take the guessing out of identifying your quality issues, but it provides the quality data in real-time from the shop floor to upper management so you can implement proactive changes now vs reactive ones later. This data collection is also the first step toward predicting quality issues, but for now let’s take this quality thing one step at a time :). Let's talk about quality. Contact us today!